SHE ARMED THEM! 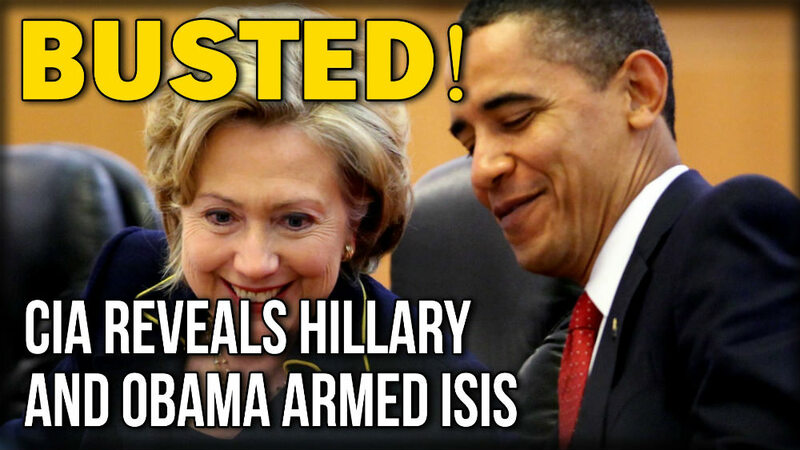 Hillary and Obama armed have admitted to arming jihadi terrorists in many Middle Eastern nations to overthrow their governments. They even assisted the ones in Libya by sending American and NATO bombers to destroy Qaddaffi’s forces. In repayment, they raided America’s embassy and killed our ambassador in Benghazi. In Syria they turned on Iraq when Russia began assisting Assad in putting them down. Syria has become the new Vietnam with U.S. and Russian forces contesting over who will control the country. Putin wants to keep his puppet in power, while Obama wants to wrest control away and give it to Moslem fanatics. Hillary then burned her secret email server so that the FBI would find no evidence of their activities. Now Hillary wants to be president and carry on Obama’s policies of assisting ISIS and making phony bombings saying ISIS wants Trump so they can fight American troops – as if American troops should fear the jihadi fanatics! Only those who want their virgins are praying for Trump to send the U.S. military against them. The rest want to keep the territory they’ve gained with Obama’s help. What makes things worse is Obama and Hillary assisting Sharia Moslems in invading other countries, including America! Americans made a mistake of galactic stupidity in electing this anti-American, anti-Christian, anti-white racist Moslem as president. Just because he says he is Christian the Democrat media says we must take him at his word. But actions speak louder than words and all of Obama’s actions have been to crush Christianity and empower Islam. Believing he is not a Moslem is as stupid as believing Hillary is honest and that Trump is a wicked idiot. Democrats never show good sense. They just follow blindly.